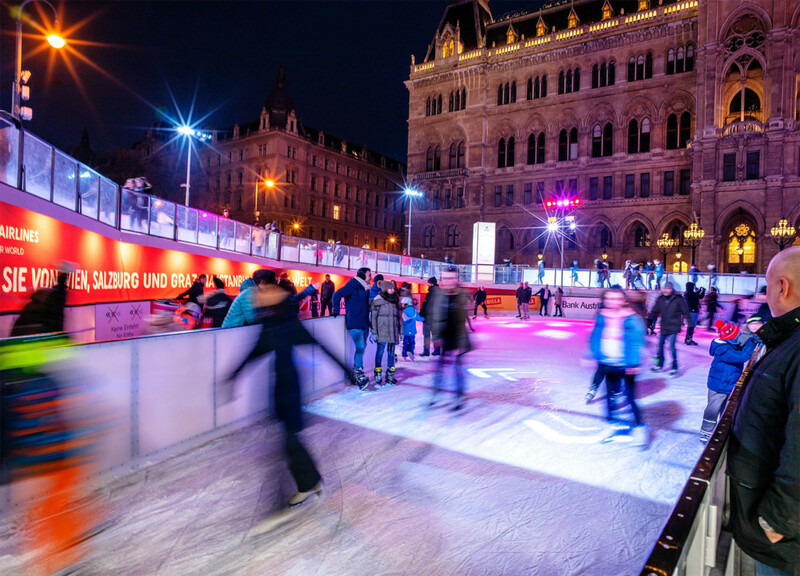 In Vienna, every January the area around the town hall turns into an ice skating arena. This year there was even an ice floor with an observation deck to drive up. I positioned myself to capture part of the action and momentum. I did the photo with manual focusing, which worked out pretty well.